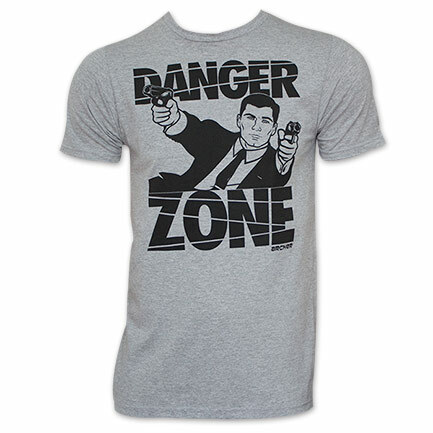 Officially licensed Archer Danger Zone tee shirt. Comes in gray with black text and is made from 100% cotton. Featuring Archer with guns and Danger Zone lettering on front.